First things first though, slap together some hardware. This build is utilizing a C.H.I.P. computer running Debian, and a 20W stereo amp from Adafruit. 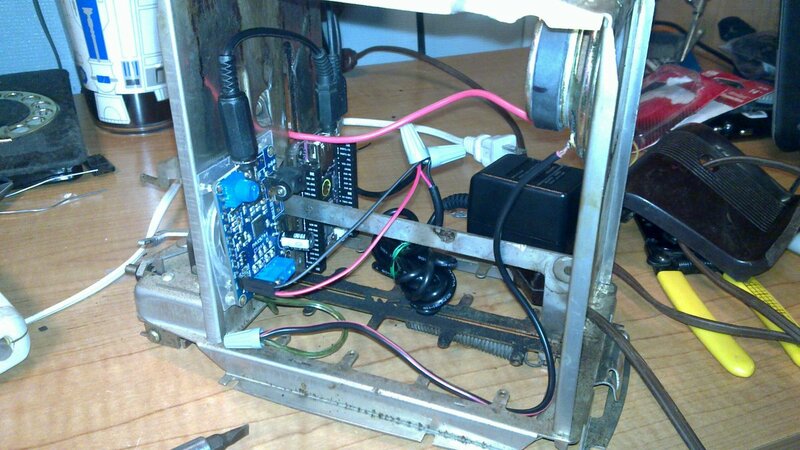 Since the build would only use one speaker, a stereo to mono cable connects the CHIP to the amp. It would probably be better to keep all the cabling "stereo" and mix all audio to mono in software, but that would require dealing with audio in Linux. brutal. Back when things were built to last, they were built to be taken apart. We, as sentient beings, owe it to the creators to take apart their devices and see how they were built, so that we might continue the improvement of the creation long after the original creator is gone. 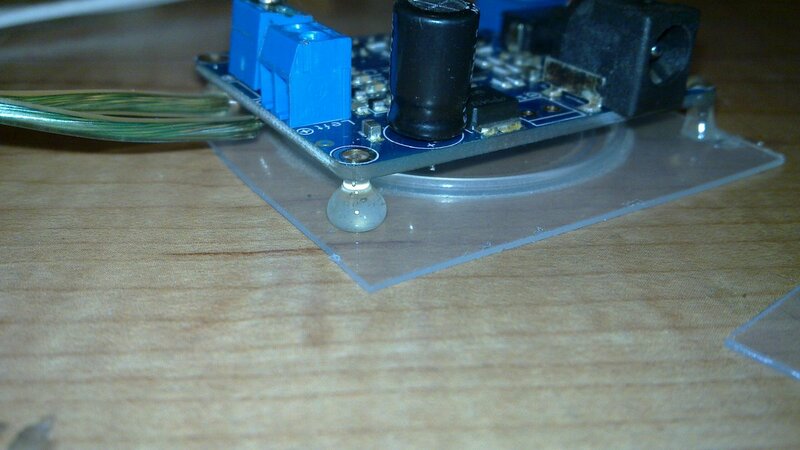 Since I wanted to minimize the possibility of an electrical short when attaching circuitry to the metal frame, a bit of *manual* 3D printing adhered the amp to a plastic sheet with some hot glue stand-offs. The original power cord was little more than copper wrapped with cloth fiber. 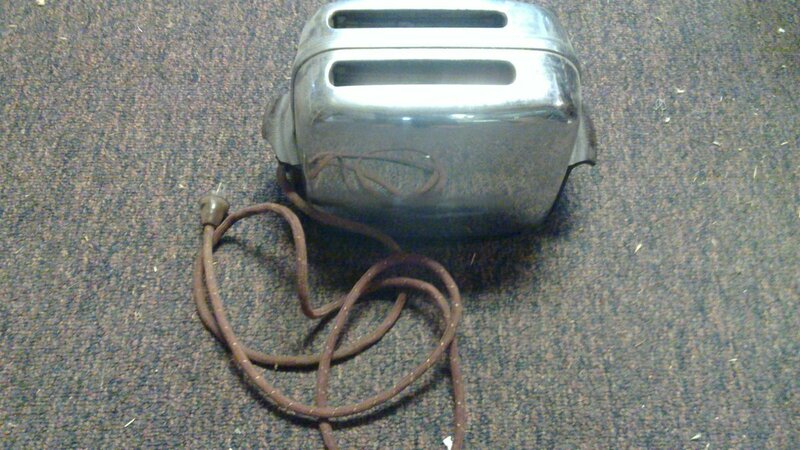 As much as I would have liked to reuse that fire-hazard, a custom made extension cord brought power to the guts of the toaster. 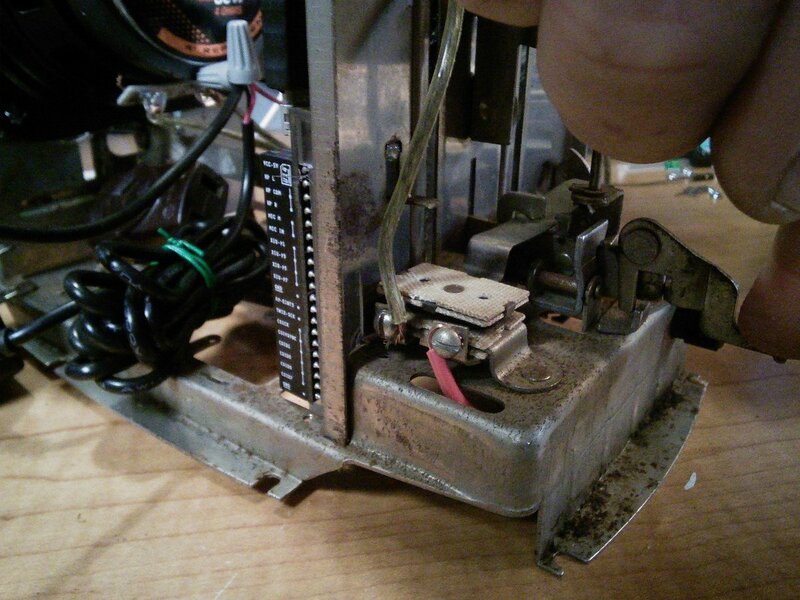 The CHIP, speaker, and amp were glued to the inside of the frame. The wire for the speaker was attached to the toasters heating element switch that is activated when the toaster lever is pushed down. 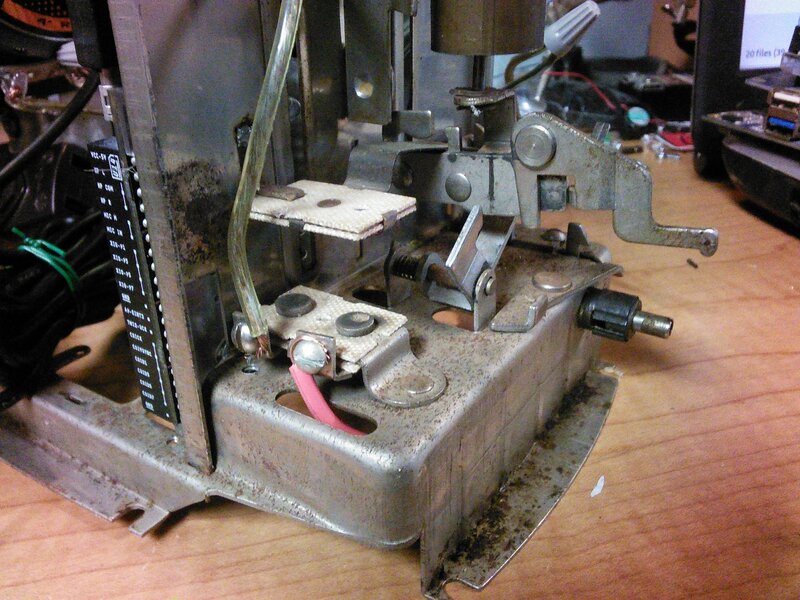 Pressing the lever down lowers a metal plate which closes the contacts for the speaker. The tactile feedback from the switch is absolutely delightful. If I ever want to make the toaster be quiet, I simply need to lift the toast lever. 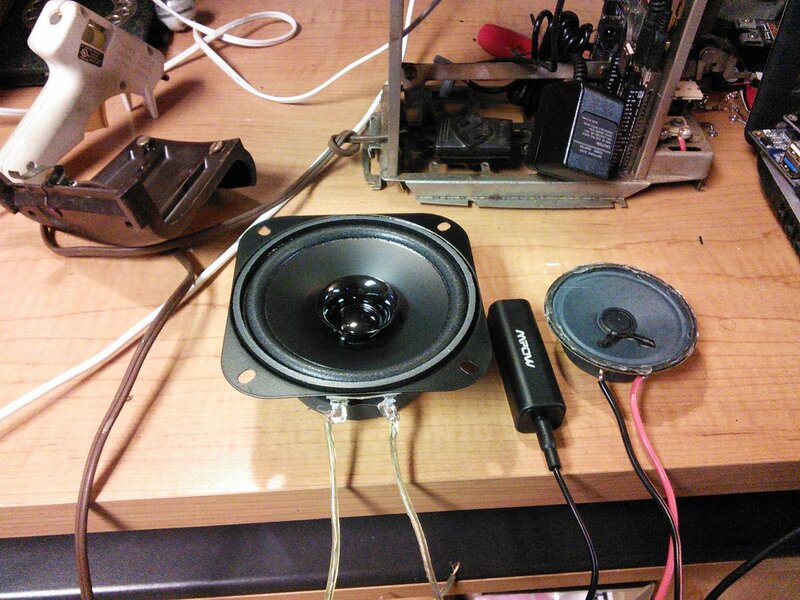 The original speaker for this project wasn't working well with the amp and a suitable replacement soon arrived. At the same time, I purchased filter to hopefully eliminate random static and noise caused by using the same power supply for the amp and audio source. For some reason, the filter cut out all audio. Oh well, on the bright side, random artifacts are the personality of a computer. 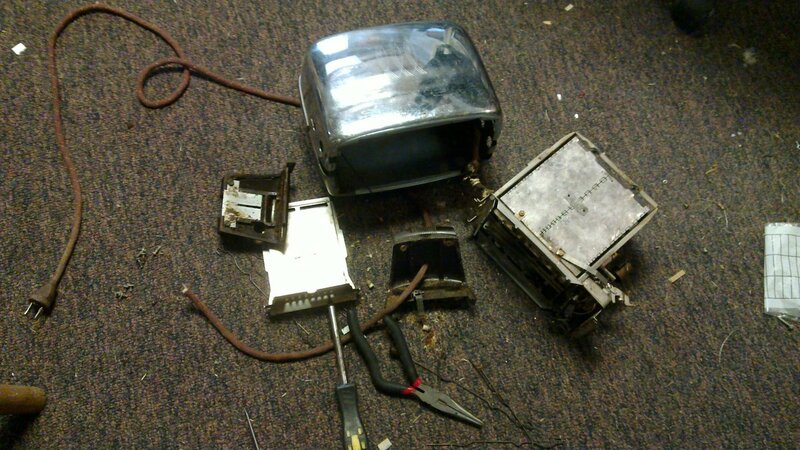 With the exception of a pile of screws, almost all of the toaster was returned to its reflective glory. For some reason, all 3 of my audio playing goals were met. crazy! Configuring a C.H.I.P. 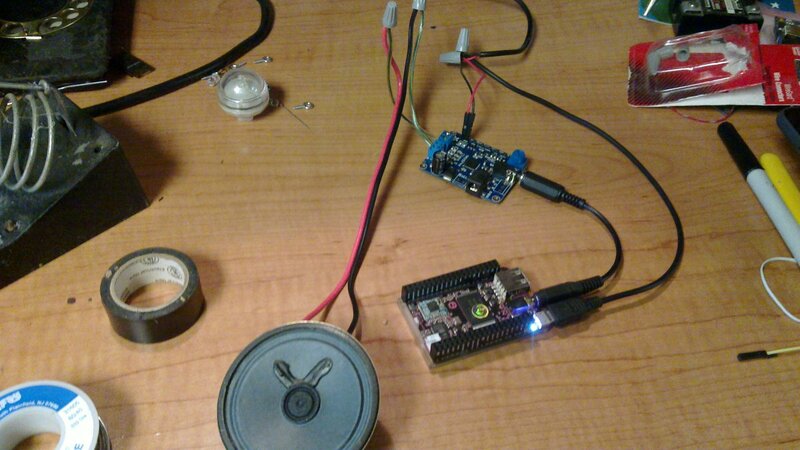 to be a bluetooth speaker takes a lot of patients, or one can use a script to automate configuring a CHIP to be a bluetooth speaker. Unfortunately, the script requires PulseAudio, and it was necessary to soil the CHIP in order to accomplish this audio task. 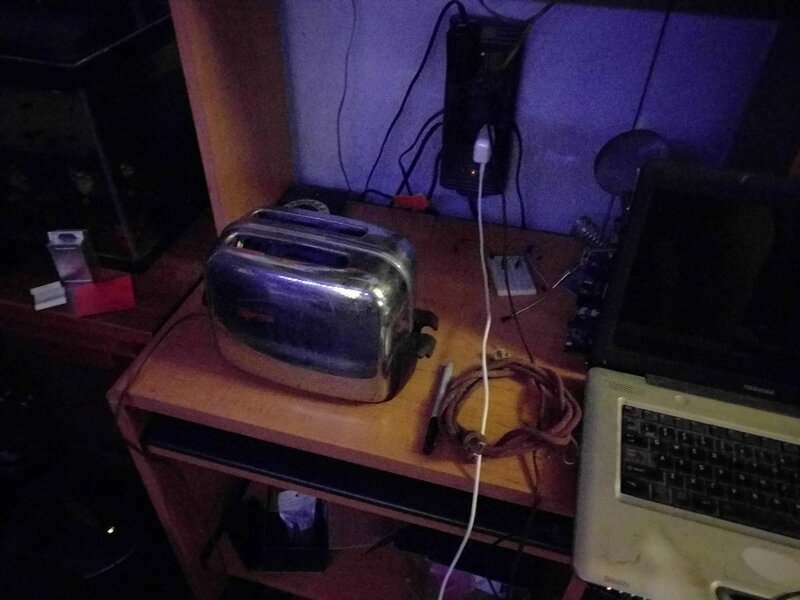 On the bright side: Bluetooth Toaster! Once Muttonchop was set up, I loaded the Conan Soundtrack onto the toaster. When the toaster is connected to my home network, I can use the browser on any of my devices to play Riders of Doom/Riddle of Steel. Booyah! The CHIP isn't the most powerful computer, but it is more than capable of running espeak TTS. Combine this with a bit of pub/sub communication using the Paho MQTT library for Python, and in a few lines of code, an MQTT message can be escaped and converted to text.